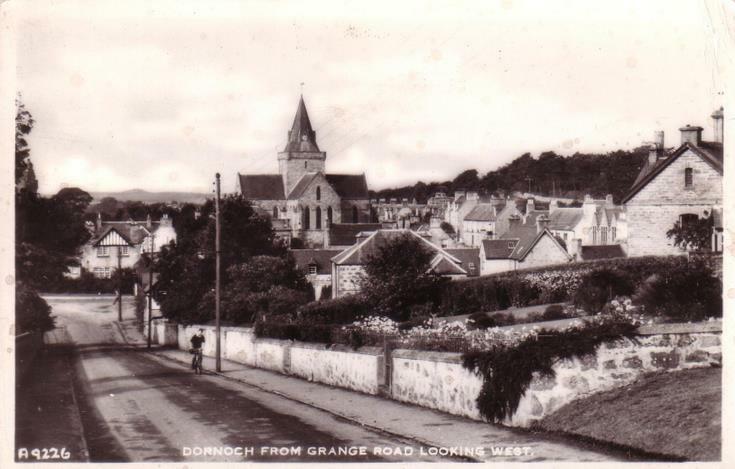 Monochrome postcard, from the Basil Hellier collection, showing a view of Dornoch, looking west from Grange Road. The reverse bears a Coldstream address, and one red half-penny, and two blue 1d. QEII stamps with postmark Dornoch 10 Jy 62.